Hello, Lovelies! Here is your Saturday dance music to get your groove grooving. And not wanting to disappoint, I have chosen videos that will guarantee some good laughs, too. When I watched these videos, I was helplessly laughing out loud. You’ve got to love some Tom Jones. And I am thinking that this is where Napoleon Dynamite likely got some inspiration for his moves. This is the kind of thing where you want someone to make it stop, yet you are riveted at the same time. If you can take your eyes away from Tom’s dance moves, than start to bust a move yourself. Or better yet, try to imitate him as he shakes his thang. And make sure that you scroll down to catch the Soul Train dancers. Simply fantastic and sure to get you moving. One thing I will say: Tom Jones was an amazing performer and had a fantastic singing voice. His dancing? I’m just going to say that he knew how to express joy with his dance moves! The filming on this one is rough, but it’s well worth watching . . . you will see what I mean. It’s awesome! This second video is just so good . . . the filming is much better and Tom really starts to bust a move at about 1:30. This is nothing short of hilarious (in all of the good ways of joy-filled hilarity). You’ve got to love this guy’s energy! I want to bottle it and imbibe it! Okay . . . I need to end on an even higher note here. You aren’t going to be able to stay still after watching these Soul Train dancers! I can see you now checking out the newspaper’s entertainment weekly for dance venues for tonight. Everything about this . . . the music, the clothes, and the dance moves are the best! So beautiful! After watching this, I reallyreallyreally want to go dancing! Go forth and make today a great dancing day. Listen to the music and shake your thang! Kick off your shoes . . . and dance! Never miss a chance to dance. Never. It’s Saturday. If you have the day off, dance. If you are on your way to work, dance. Dancing — guaranteed — will make a fun and positive difference in your day! The Unseen Words Project wishes you a day of happy dancing. You’re looking good, people! Really good! Happy Color-filled Friday! For today’s journal prompt, download the prompt below and get out your favorite Friday pen . . . you will be recording five “colors” . . . five “things” that reinforce pleasant experiences in your life. Yippee! And yippee for journaling! For me, the first “color” that comes to mind is helpless laughter — the kind that is snorting, gasping-for-breath, cheek-hurting, and side-splitting. There is something that is just so enriching and bonding about this kind of laughter. 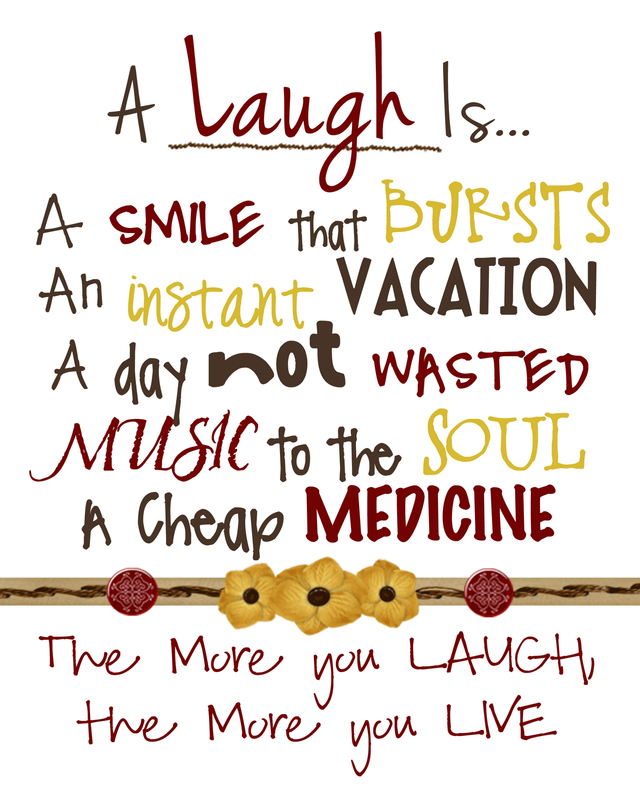 When I experience helpless laughter, I feel as if my entire system has been rejuvenated, restored, and reset. It feels so good! I can remember a time when I was going home after a night of dancing with some friends, and I thought I was going to simply split with laughter. We were telling stories and just hooting it up and having so much fun. We eventually pulled until we could get it out of our system. The funny thing is I can’t remember what it is we were laughing about, but we sure were having fun. I don’t remember what any of us were wearing that night or who the band was or who I danced with that evening. But I can distinctly remember the moonlit night and the the Joyful White Noise of Laughter that boomeranged throughout the car. It strikes me that this kind of laughter doesn’t happen nearly enough in my life. I think about the “features” of this “color” that bring back such happy memories . . . spontaneity, camaraderie, an enormous feeling of letting go. Here’s the thing . . . one cannot simply summon or command a moment of helpless laughter. It’s the sort of thing that just happens. However, I can look for opportunities to create moments that involve spontaneity, camaraderie, and letting go. Are you with me? Simply being open to what I value may very well lead me to different shades of happifying. Maybe I am stretching here. But this is what I enjoy about journaling: stretching and growing my perspective in ways that embrace newness that feels good and that enlivens my life. I am suspecting that the very act of seeking joy in my life is going to bring me joy in return in unexpected and new ways. Record your five “colors” and let me know what you think. Click on the aqua-blue link below to download and happy journaling! Greetings to everyone on this very lovely Saturday morning. What a perfect day for music and journaling! Below is a youtube of “Blackbird” by Eddie Vedder. I have heard many covers of this song, but what makes this one so special is the participation from the audience and the appreciation that Eddie Vedder expresses for their beautiful whistling. I just love it! I don’t know about you, but this song was so sweet I had to listen to it twice. There are clearly days when it seems as if my life’s level of Whistling Participation is at a pretty low low. I find myself wrapped up within the cocoon of my work, my family, my laundry list of concerns, my creativity, my chores and to-dos. I keep things close and don’t stretch in any extraordinary directions, really. I am like a little embodied capsule of Me that doesn’t live much beyond what is required of me or what pops up in the way of obligatory energy requirements. This is not to say that I am slumping through daily life with my head down and my eyes on the ground. I do keep my eyes and my heart open. But still. I know that there are “moments” when I feel prompted to “arise” and I consciously choose to ignore or sidestep the opportunities that call me to action. I realize that we can’t be “on” all of the time . . . yet today I am thinking that, perhaps with a little conscious and sub-conscious awareness on my part, I could be making a significant difference in random moments that could do with a little bit of “arising.” How about you? Do you ever feel this way? If you click on the link below, you will find a journaling prompt for today . . . one that encourages you to participate and to support in a wee small way today. Live is a lively event. Here’s your moment. What’s stopping you? 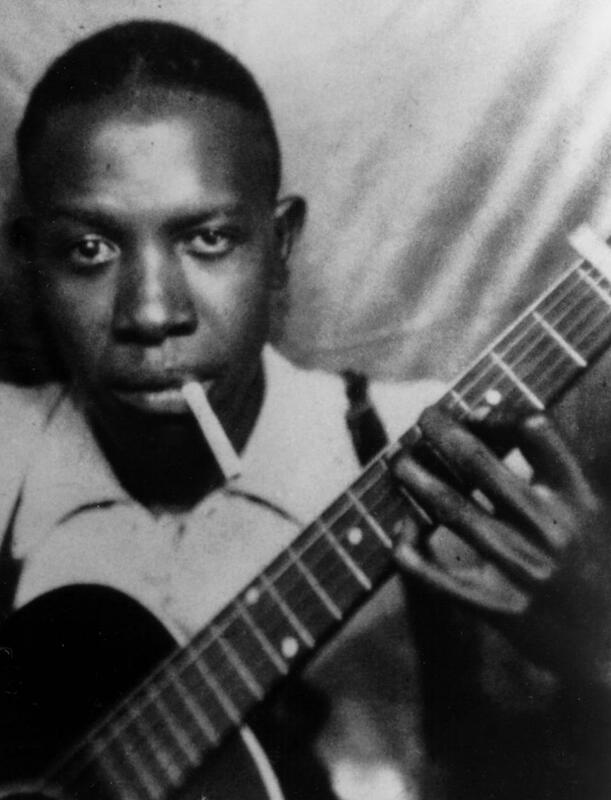 I am listening to Robert Johnson tonight and wanted to share these songs with you. “But much of Johnson’s life is shrouded in mystery. Part of the lasting mythology around him is a story of how he gained his musical talents by making a bargain with the devil: Son House, a famed blues musician and a contemporary of Johnson, claimed after Johnson achieved fame that the musician had previously been a decent harmonica player, but a terrible guitarist—that is, until Johnson disappeared for a few weeks in Clarksdale, Mississippi. Legend has it that Johnson took his guitar to the crossroads of Highways 49 and 61, where he made a deal with the devil, who retuned his guitar in exchange for his soul.